Wycliffe Bible Translators – an Ecumenical Compromised Organization From the Start!? | Truth with Snares!? Wycliffe Bible Translators – an Ecumenical Compromised Organization From the Start!? February 7, 2012 To Wycliffe, SIL, And Foundations: Is the Gospel an Offense, and Dare We Change It? February 9, 2012 Is Wycliffe Softening of “Son of God” an Appeal to Make More ’Messianic Muslims’ with YWAM!? If you are one of Wycliffe or a supporter that has stumbled upon our page you are guilty of egregious error! 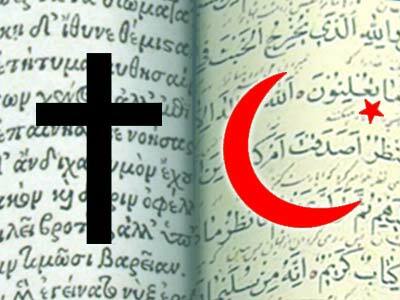 Your ecumenism and syncretism to bring in other religions has led to the invention of what is being called Chrislam doing the work of the Devil in my opinion. – Our God is EXCLUSIVE of any others! Yet Wycliffe that took on the honorable job of translating His Holy Word would pervert it to remove its offenses to the lost!? How can you not see the Bible is True Truth and immutable unless you are not one of His children and totally blind? Can I possibly say it any stronger? All I know are my future articles on this topic will be to point people away from the likes of Wycliffe to other organizations that are translating the Bible and not rewriting it! It is time for Biblical Christians, meaning Christian that take the Five Solas of the Reformation seriously to stand against those promoting such blatant ecumenism and syncretism. I hope those of you finding my message today will benefit from it now and possibly for eternity.